Nutrition Hacks for improved health for your pet. Currently my favorite type of articles to read are about life hacks, whether it’s improving your concentration or getting better sleep. It seems no matter the subject, there are usually one or two easy and useful tips that can be applied to your life. In honor of those articles, this blog is about hacks for your pet’s diet. The first hack that I have for your pet’s diet is moisture. If you’ve ever seen your pet drink or cleaned up after they drank, then you will realize how inefficient they are at drinking. 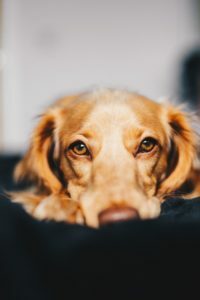 Couple that with most of our pets’ diets are extremely void of moisture and all these risk factors lead to a chronic state of dehydration in our pets. In order for proper digestion of food, our bodies need to hydrate the food. If the food is not moist, the body will pull the moisture from the surrounding tissue. In multiple studies, it has been shown that a moist diet can greatly improve the health of the urinary tract of our feline companions. Moisture can also help cats lose or keep the weight off while living a sedentary indoor life. The following from Honest Kitchen is a great article that goes into more detail on the benefits of a high moisture diet. The second helpful tip is adding real food to our pets’ diets. By adding real food, we hope to add important nutrients that are not currently known or accounted for in commercially processed diets. Real food can be included in your pets’ diet in many ways such as adding foods that we are eating into their diet as a topper and can run the gamut to creating a fully home prepared diet. Adding food as a topper can be an easy addition to improve their diet that really doesn’t take anymore time from our already busy day. Another great step to improve your pet’s diet is the addition of a whole food supplement such as green juju or Nupro. A completely home prepared diet is an amazing step toward improving our companion’s nutrition, but the time required, as well as balancing mineral and proper nutritional needs, can be difficult for some people. Adding healthy fats to our pet’s diet can also improve their state of health. Most commercial diets are heavy in the Omega-6 fatty acids. These fatty acids are precursors of inflammations in their bodies. By supplementing with Omega-3 we are trying to tip the scales in a natural anti-inflammatory state. Two important considerations when choosing an Omega-3 supplement are source and type. Our canine and feline companions lack the necessary enzymes needed to convert Omega-3 from plant-based sources such as flax or chia seeds. Therefore, it’s important to source from products that they are able to convert properly into important anti-inflammatory signals. Most animal-based Omega-3 are derived from fish products, thus creating a concern for heavy metal contamination found in some cod and salmon oils. Finally, probiotics and digestive enzymes can be a helpful addition to improve your pet’s digestive health. Currently we are not sure if all pets would benefit from probiotics or digestive enzymes. Some conditions in which supplementation of probiotics have been helpful are stress colitis, irritable bowel syndrome, or issues with the immune systems such as food or seasonal allergies. The thought process behind digestive enzymes is that commercially prepared or cooked diets are harder for our pets’ shorter intestinal tract to properly break down, but by adding digestive enzymes we may be able to decrease the time and effort their digestive systems need to process food. Would it hurt to supplement with probiotics or digestive enzymes? No. Does every pet need them? We are not sure at this time.